Another image from Society 6. 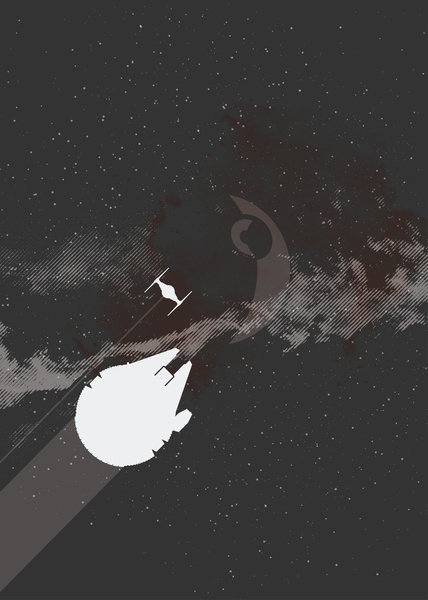 This minimal poster design for Star Wars: A New Hope is by Nicolas Beaujouan. I’ve seen this Falcon Silhouette on many other prints and i’m finding it a little dull now. Still, the actual print is of a nice design although it does remind me of the minimalist print by Urban Dinosaur that i posted about some time ago. This entry was posted in Art, Things that i don't have yet... and tagged A New Hope, Art, Millenium Falcon, Millennium Falcon, Nicolas Beaujouan, Star Wars. Bookmark the permalink.